By CAREEREALISM Founder, J.T. O'Donnell I cringe when I see the attention Stephen Slater is getting for his in-your-face exit from Jet Blue. It used to be that any publicity was good publicity. However, in a time where long memories get longer (thank social media and the permanence of everything posted on-line), I can tell you most traditional employers won't touch him with a 10-foot pole. Even if he gets a TV show or other offers, his fifteen minutes of fame will die, and all those supportive fans will drop off like flies. When the attention dies, he could start to act desperate - and hiring managers don't like desperate. That being said, if you are one of the millions of Americans who want to sing, "Take this job and shove it!" to your employer, I'd like to offer you 5 reputation-saving alternatives: #1 - Take a "mental health" day - or two. When we feel this frustrated, there is usually a lot more going on in our lives. Relationship, financial and health issues can make work seem unbearable. Since we spend a great deal of time at our jobs, it's easy to channel blame for things going wrong in our lives towards our work situation. Instead, remove yourself from work and spend some time sorting out all the things bothering you. Vacations can provide a much needed change of scenery. If you can't afford one, take a 'staycation' instead. The key is to give some of the other areas of your life a little TLC. In doing so, you may find your perspective on work gets better too. #2 - Volunteer. Spend some time with those less fortunate than you. Give yourself a little reality check. Think you've got it bad? Go spend an hour at a soup kitchen for the homeless. Better still, visit a children's hospital and spend time with these brave kids and their families who are battling life-threatening illnesses. Then ask yourself if work is so terrible. #3 - Start your own company. If you are so frustrated with working for someone else, try working for yourself. It's amazing how many employees think their management team is a bunch of idiots, but yet, they'd rather sit and complain about the company that pays them then step up to the plate and create a job for themselves. Running a company isn't easy folks. If it was, everyone would do it. I recently met an ex-entrepreneur. He had quit his last corporate job out of frustration and opened up his own shop. 18 months later he was thrilled to be back in the corporate environment. "I have a whole new respect for what it takes to run a business," he told me. In fact, he said his ability to work with senior management felt improved and he was now getting the kind of recognition he had previously been unable to attain. "I am approaching the job differently because I've been in management's shoes. They have my respect and I'm getting theirs. It's a win-win." TIP: Don't have the funds to go out on your own? Start a hobby business. This will let you build the business on your own terms, while doing something you enjoy. Before you know it, you could be quitting your day job. At the very least, you'll learn a lot about what it really takes to run your own show. #4 - Actually look for a new job. 72% of Americans claim they are going to look for a new job when the economy improves. My question is: Why wait? If you do, there's going to be a lot more competition, since everyone else will start looking then too. Put some real effort into building up your job search game-plan and start looking for a new, better position immediately. #5 - Get expert help (and I'm not talking about a psychologist). Most people don't know the right way to look for a job. If your first thought when thinking of starting a job search is to get your resume done and start blasting it out to open positions on the Internet, expect to come up short. This is the WRONG WAY to look for a job in today's economy. Which means, you need to start investing some time into closing your gap in knowledge. There are several ways you can do this. A good start is to subscribe to a few top career advice blogs and begin reading them daily. The more you read, the better informed you'll be. 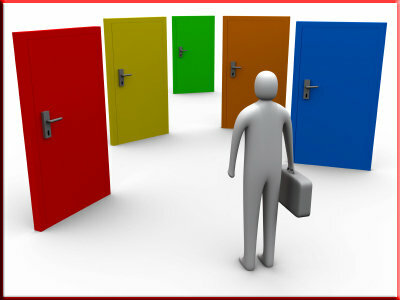 Then, consider investing in career resources that will help you shorten your job search. FACT: The right career expert resource can teach you how to find the job you want faster than you can teach yourself. Just like a doctor or a dentist, there are times when the health of our careers rest on getting expert advice! In summary... Everyone hits a point in their career when they feel like they've had enough. It's how we deal with those moments that define us as professionals. I'd hate to see your career suffer for a few moments of vindication. One career party moment like that can cause a long professional hangover. I say, don't risk it. CAREEREALISM.com provides the best career advice from proven career experts on a daily basis. How do you find a job today? You get career and job search help from us! Sign-up today to get our updates daily.